Here at Absolute Casing, we supply a complete range of Apple laptop cases, each of which can be tailored to suit your specific requirements. From our collection, you’ll have a wide range of cases to choose from, you may even consider yourself to be spoilt for choice! 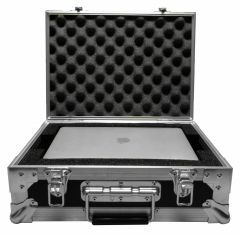 The Apple laptop flight case is just one of the flight cases that we supply for a highly competitive price. These can easily be tailored to suit the requirements of customers looking for a solution for transporting their laptop to work or for storing it in the home. No matter what you’re looking for, Absolute Casing can help you! 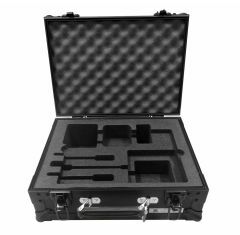 The team of experts at Absolute Casing can provide you with a custom flight case if you cannot find exactly what you’re looking for, this ultimately enables you to create something suitable for your Apple laptop. Our custom foam inserts are perfect for ensuring that your laptop is secure throughout transportation and storage. The Apple travel case takes into consideration style preference too, these are always protective and designed to suit your stylish needs and wants. Our Apple laptop cases are suitable for a range of laptops including the Apple MacBook 12”, Apple MacBook 15” with retina display and touch bar and the Apple MacBook Pro 15”- find something suitable today!